Biometric data is a term referring to any computer data that is created during a biometric process. This includes fingerprints, samples, and other scores that can are used to verify an individuals identity based off of collected information. This technology is becoming popular because it allows the user to gain entry to their device or access point without usernames or passwords. 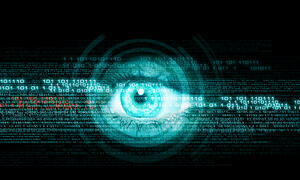 Biometric data is more secure than a traditional password. This technology also provides end users with an easier usage level because your specific password is always on your person. As technology continues to change, different issues will arise. In the instance of biometrics, some of the issues aren't coming from the technology itself, but from an ethical and law enforcement standpoints. Different laws to protect end users in the event their device is confiscated by law enforcement have had to be created. Protocols have also been put into effect to protect someone's device from being accessed after their death. Someone's device is still their property and the correct processes to gain access must be followed. Many devices that use biometric technology have made the shift to be pro-consumer and protect the personal data of the end user. At the end of the day, the big creators of our everyday technology are on the side of the people using it. While this technology may still have kinks that need to be worked out, we're headed in the right direction. Jeff stated that he believes biometric data will only continue to evolve and grow in popularity. We always like to bring a touch of technology current events to the show and Guy Phillips was prepared to talk about the damaging reports that came to light last week about the popular home security system, Ring. The technology has come under fire because of a report claiming that video feeds and other files were made accessible to employees who had no need for access. Ring is one of the biggest players in the smart home security game at the moment, and this issue has the chance to be damaging for the brand. As Guy and Jeff continued to talk about the issue and invasion of privacy, they brought up the fact that this technology has the ability to do wonderful things, but the proper security layers must be in place. Don't forget to subscribe to our SumnerOne blog to find the weekly recap from Tech Talk on The Big 550 KTRS. We'll be back in the studio with Guy Phillips and his crew this Friday afternoon at 4:20 to talk about more trends in cyber security. In the meantime, if you have questions or want to learn more about SumnerOne, give us a call.